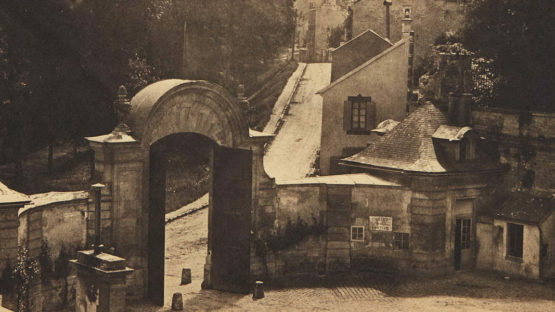 After studying Louis Désiré Blanquart-Evrard’s modifications to William Henry Fox Talbot’s positive/negative calotype paper process, Henri-Victor Regnault probably began to photograph around 1847. He photographed landscapes, architecture, portraits, and genre scenes. A founding member of the Société héliographique in 1851, he also served as the founding president of the Société Française de Photographie in 1854. A chemist and professor of physics, he directed the Sèvres Manufactory from 1852 until 1871 and established a photographic department there. He eventually gave up photography to support and promote the promising painting career of his son, Alex-Georges-Henri.